We understand at Secure Move Removals that when you want to move a business you still need to run the business, so it needs to be done in the quickest fashion and at the best possible time for your customers, staff and budget. With Secure Move Commercial Removals your move will be meticulously planned and rapidly executed, offering you maximum convenience and minimal disruption to your operations. Your personal assigned Secure Move surveyor will come to your commercial premises to plan and work out exactly what needs to be done for your bespoke move, free of charge. The surveyor will work out every detail of your commercial move itinerary and you’ll receive a clear and concise move plan with clear instructions designed to maintain business continuity. When moving a business it has to be at the best time to cause the least disturbance to the business. We will aim to do this whenever suits you; morning, noon, night, weekends and bank holidays, just let us know. 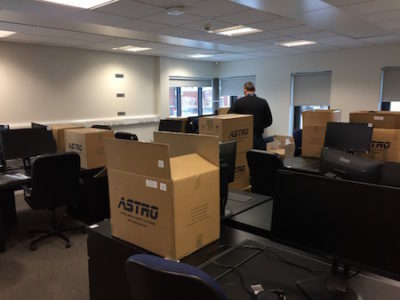 The skilled and friendly team at Secure Move Removals will be on hand to dismantle and carefully pack all your office equipment and furniture. 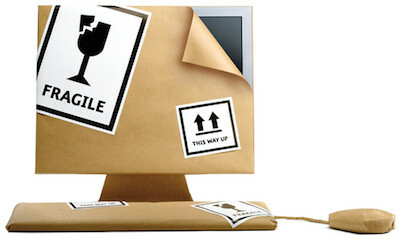 All fragile and expensive office equipment will be handled and packed with the utmost care and consideration. Once fully loaded and packed we will transport all your goods to either the new address or into secure storage untill they are required. Our comprehensive storage facilities in Newcastle offer both short and long term options to suit you should you need it. Before we leave, we’ll check everything went as planned and take away all empty packaging to leave your new workspaces clean and fully operational. If there are items that don’t need to be unpacked immediately, just give us a call once they’ve been unpacked and we will come and collect all packaging. Although we are a Newcastle based Removals Company, Secure Move Commercial Removals provides a reliable and efficient service to the whole of the North East including Sunderland, Durham, Middlesbrough and surrounding areas. 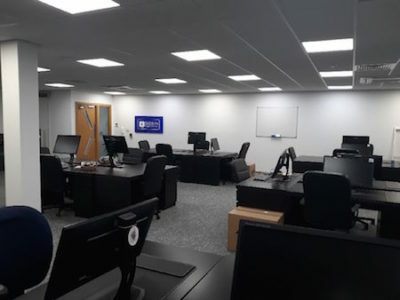 Whether you’re looking to relocate your business, or simply refurbish the premises, Secure Move Removals is your answer, with free goods in transit and public liability insurance for up to five million pounds, you can be sure that your business equipment is in the best of hands.